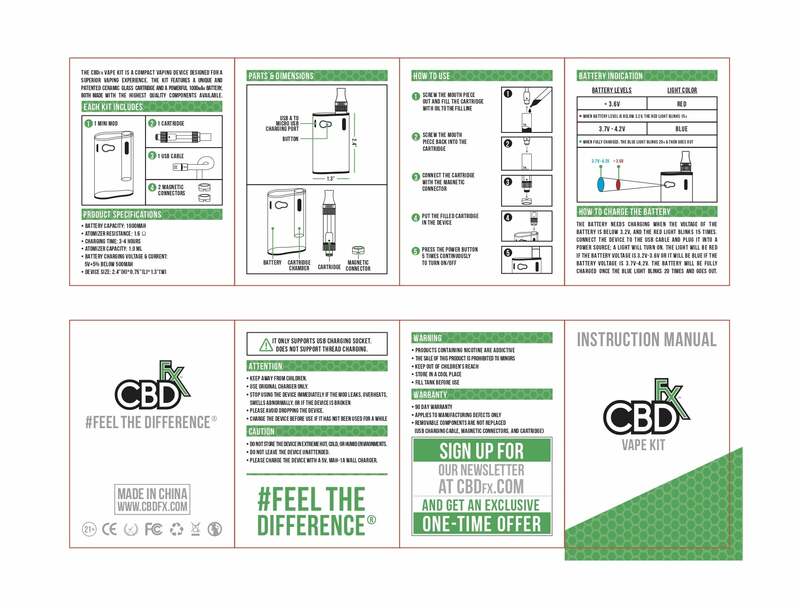 Everything you need to get started vaping CBD, this kit is built to last and features the standards of quality you expect from CBDfx. This item is currently not available. Enter your email address below and we'll email you when it is back in stock. I consent to having CBDfx.com to store my submitted information so they can respond to my inquiry. The all-inclusive CBD Vape Kit provides you with everything you need to start enjoying our high-quality CBD oil as soon as you open the box. With an industry leading ceramic glass/steel cartridge and a temperature setting optimized for CBD oil, the CBDfx Vape Oil Kit is guaranteed to give you the best possible vaping experience. Regular mods burn at a higher temperature which will produce carcinogens when used for CBD oil. Not this mod — we designed this from the ground up to be your trusted go-to specifically for CBD oil. You’ll never burn your oil again! To use, fill the cartridge with our CBD vape oil additive and your favorite e-juice, screw the connector ring on to the cartridge and pop it in and go – it’s that simple. 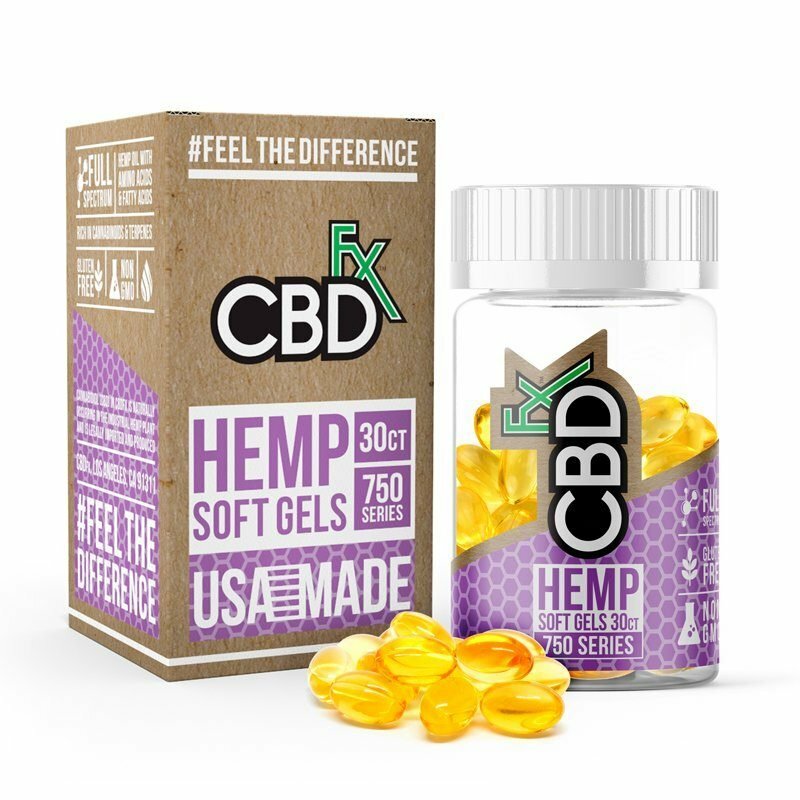 This all-in-one CBD Vape Kit conforms to CBDfx’s strictest attention to quality and detail, combining ultra-sleek looks with a compact body and premium materials. The kit is cutting-edge, combining extreme usability with forward-thinking toolkits and technologies. Our team realized that most vape pens or MODs tend to be calibrated for higher temperatures than CBD oil requires. Regular e-liquids need that higher temperature to vaporize correctly and completely, but when CBD oils are subjected to the same temperature they burn and produce harmful carcinogens. To counteract this, we designed this CBDfx Vape Oil Kit to work at temperatures that ensure the very best CBD vaping experience available. Battery: 1000mAh lithium rechargeable battery. Cartridge: Ceramic Coil, Glass and Steel Cartridge. Connector: Magnetic Adaptor Ring, Compatible with all 510 Threaded Cartridges.